It is a well-known fact that Data is highly cheap and is unambiguous. Usage of data has become a part of our day to day daily activities. As per the experts view millions of pictures, videos and other specific forms of data are being dumped over the internet. Also, with the increase in the number of online social networking sites that support the option of data sharing have also contributed to data usage. Have you ever wondered regarding where all these enormous and extremely large streams of data get stored into? Well, most of the media giants like Google, YouTube, Facebook and many others have decided to work upon the Hadoop framework for all of their data management predicaments. Most of the leading enterprises and organizations that wish to benefit from their inbound data resources rely upon Hadoop on a much bigger scale. As per the expert’s predictions, the market demand for Hadoop data management system would rise up to $20billion by the end of 2020. Hadoop is a highly scalable storage platform. Hadoop best feature is that it is known to provide cost effective data storage and data management services. Hadoop is well flexible from handling different formats of data either structured or unstructured in addition to providing valuable insights for the business development. Hadoop is highly fast and precise in its functioning. Processing several terabytes of data within minutes is possible through Hadoop. Hadoop shows a higher degree of resistance towards errors. So, one can easily estimate how effective will the scope of career be in the field of Hadoop profession. Also, as per the estimates view over two million new jobs are going to be created in this field by the end of 2018. Hadoop Training In Hyderabad from the Kelly Technologies will be the perfect choice for you to attain a complete set of Hadoop professional skills. 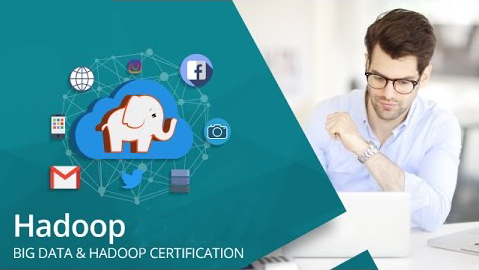 Having the best-experienced faculty for Hadoop training getting certified from our institute will surely ensure success in your professional career as a Hadoop expert.